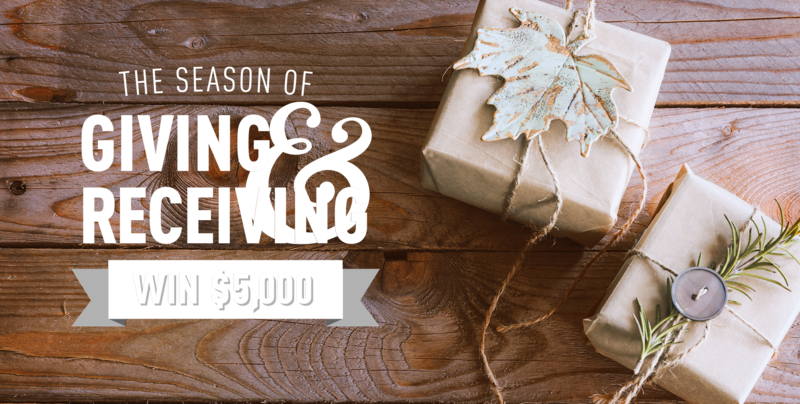 The Season of Giving & Receiving Sweepstakes. NO PURCHASE OR PAYMENT NECESSARY TO ENTER OR WIN. A purchase will not increase your chances of winning. Sweepstakes starts on 11/1/17 at 12:00:01 a.m. ET and ends on 12/31/17 at 11:59:59 p.m. ET. Open to legal residents of the 50 United States and D.C. who are 18 years of age and older. Void where prohibited. For complete Official Rules including details on how to enter by mail, click here. Sponsor: Fiserv Solutions, LLC. 255 Fiserv Drive Brookfield, WI 53045. Popmoney is a registered trademark of Fiserv, Inc. or its affiliates. Terms and conditions apply.